Wadi Al-Baida, also called Wadi Al-Jinn, is a mysterious valley where cars move without drivers touching them. The valley is situated some 30 km northwest of Madinah. It draws the attention of thousands of locals and visitors from around the Kingdom and abroad. Many city dwellers travel to this natural park and erect tents for a few days, especially during the weekend. Traditionalists believe the power of jinn is present in Wadi Al-Jinn. Among the many peculiar stories about this valley are those about vehicles moving upward in the mountainous roads, without any need to push the accelerator. Even when the driver would switch off the engine, the car would move. Many people related this to the power of jinn in the valley, but it is also claimed that the mountains in this region have some special type of magnetic powers. My curiosity made me go and explore the valley, after hearing the unusual stories. It is a beautiful place, with trees surrounded by mountains, no houses or signs of any city or village. We parked the car in neutral gear and to our amazement the car was moving slowly, even though the engine was switched off. First we thought the road must be sloped, but it wasn’t. In fact the car was moving upward on its own. After a while, the speed of the car increased. We learned later that the mountains in the surrounding area have magnetic qualities, which attract cars. Any iron object with wheels will move on its own. 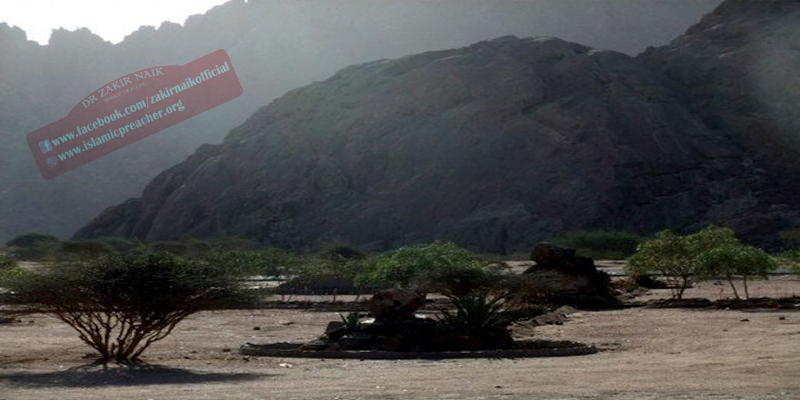 Geological experts point out that this phenomenon, known as reverse gravity, is also evident in other regions in the Kingdom, including the southern regions of Asir and Najran. It is regarded as a natural phenomenon taking place usually in some rocky mountainous regions. Locals who have stayed in the valley at night said they had heard voices asking them to leave. “You don’t belong here. This is our place,” they claimed the voices had told them. not only iron body with wheels but even plastic bottles move.